All court records are available for public consumption unless a court has ordered them sealed or the court grants you an expunction. This includes your traffic court record. Point accumulations are removed on a three-year basis. However, the traffic violation itself is always there. You can obtain free traffic court records by going to the court house however you might have to pay a nominal fee for a physical copy. You can also obtain free traffic court records from online database repositories but not all of them are free. Point accumulation is kind of like a revolving door. The state law sets a threshold of points for each driver before a license is suspended. Once a driver reaches the threshold, the Department of Motor Vehicles has the authority to suspend or even revoke a license. To help the driver, the DMV will remove points on a three-year rotation. Therefore, if a driver does not get points assessed within the three-year time frame, chances are your license is safe from suspension or being revoked. 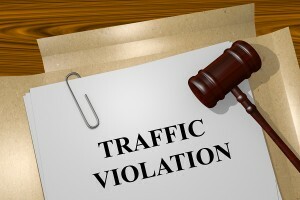 Your traffic driving record is comprised of all traffic violations in which a court has adjudicated you guilty. Even if you pay a fine, and no points assessed the record is going to reflect that traffic violation as a conviction. Traffic violations that are in your record include speeding tickets, at-fault collisions, suspensions, criminal driving while intoxicated, online remediation classes you have taken, and everything you have been found guilty of other than parking tickets. A driver does have the right to petition the DMV to have violations removed from a traffic court record. The process is to request an administrative review via a letter with your full name, address, driver’s license soundex number and your date of birth. The written request should have a statement of which offense you have been convicted, if you have ever been involved in a criminal offense involving your motor vehicle, if you have any pending matters within the court system, and if so, the date, and location of the offense. As with all court matters it is suggested a defendant at least consult with a local attorney to assist and ensure none of their rights are violated. I can certainly help you out with a traffic ticket or traffic court records search. All I need to proceed is a first and last name and state and county in which you received the traffic ticket. You can also contact the county court clerk where this ticket was filed. I have included some helpful links below. Your request has been sent to our customer support team and your subscription will be canceled ASAP. Please reach out if we can assist you with any driving records, traffic citation records, court records, criminal records or any type of public record. If we cannot find it for you we can certainly point you in the right direction. I would like to find out my driving record of tickets from 2016 for free. I don\’t have any money to put $2.95 towards a FREE* result such isn\’t actually free if my bank cards aren\’t good enough for me to see records I\’ve never seen before in my life. Monika, we are happy to lookup your traffic court records in our public records database for you but we’ll need some more information first. We will need the state and county you reside in as well as your middle name and age so we can properly sort our traffic citations and court record results for you.